A block of pinot noir vines in Sawmill Creek Vineyards. 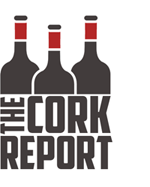 As you may or may not know, I have started writing for The Cork Report. Here's a new piece I just wrote.....follow the link below to read the article in it's entirety. Growers rarely get the headlines. It’s the winemakers who seem to set fashion and quality and grab all the headlines, feature articles, and photo ops. But there are growers who have become brand names in and of their own right. Heitz Cellars seems to have led the way with the Martha’s Vineyard Cabernet Sauvingnon. And St. St. Jean pretty much lead the way with their Chardonnays. These were the leaders in single-vineyard or single-vineyard designations. There are two kinds of single-vineyard designations. The first would be the single vineyards of a particular winery. And there are the single vineyards of professional grape growers. The later is more rare. We happen to think it’s about terroir, first and foremost. Single vineyard designations offer the ultimate in terroir. And the concept has not only gained ground in the eastern winemaking regions as well, it has made headlines.